Choose up to 3 colours for your flowers. Planning a Circus, Safari, or Dumbo Themed Birthday?? 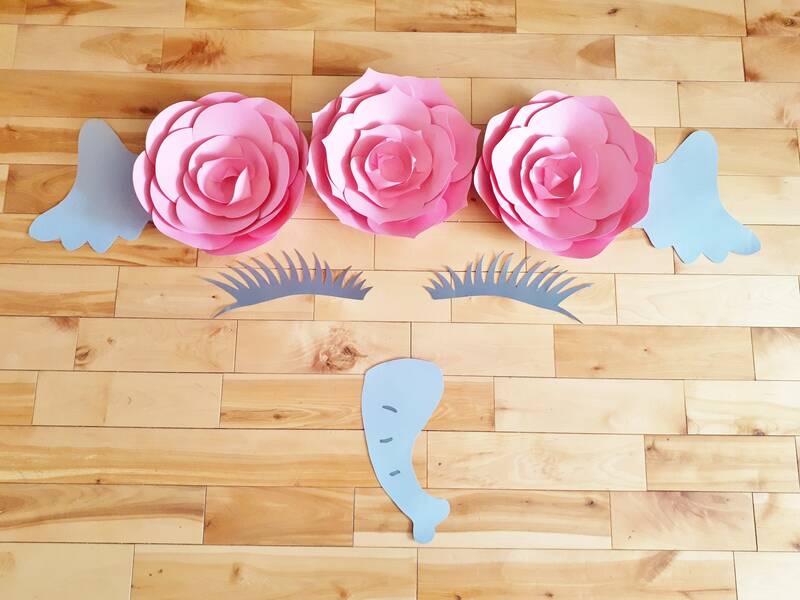 Well this Elephant Paper Flower Backdrop is perfect as a backdrop for your party or event. Use it for an Elephant Themed Baby Nursery or children's room. 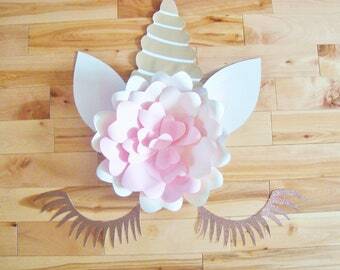 Also great as a Photo Backdrop for your Baby Shower, bridal shower or fantasy themed wedding! Eyelashes can be full or thin and done in 1 colour of your choice. You can hang using Wall Adhesive Strips (Command strips are great brand) or you can attach the set to a 20-30 inch foam board using hot glue. Custom orders are always welcome, Happy Shopping! 10% off all items in our paper flower creatures section!